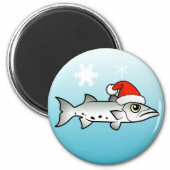 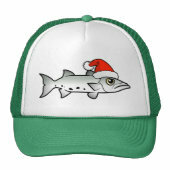 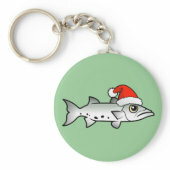 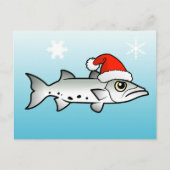 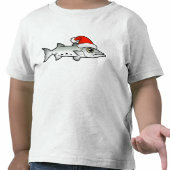 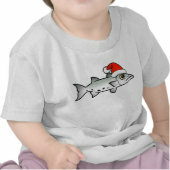 Our cute Scubadorable Great Barracuda sports a red and white Santa Claus hat in this original design for the holidays. 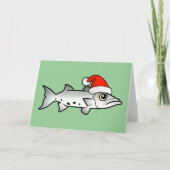 Don't let that grumpy, under-bite face fool you - Barracuda can't wait for Christmas! 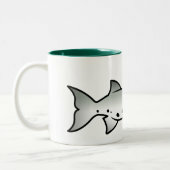 This is a great gift idea for anyone who loves these unique and iconic fish.